does anyone know why a certain toy will imprint on your dog – what about that specific toy makes it your dog’s OBSESSION? 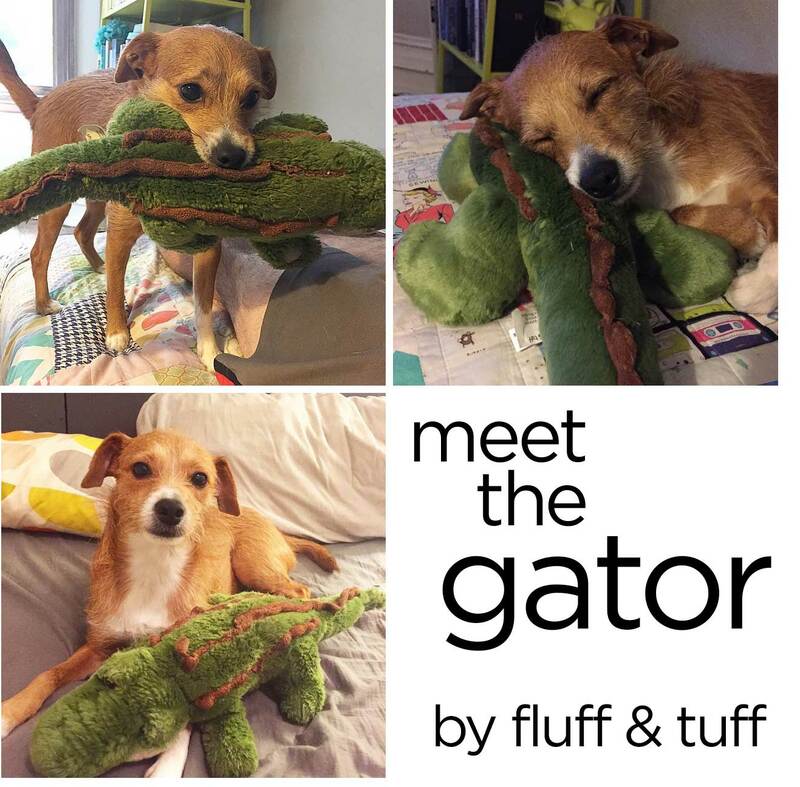 in our house, for some reason, it was this gator, by fluff & tuff. saying she’s obsessed is actually an understatement. every night, around 9, she can be found with the gator shoved in her mouth, running up & down the hallway whining. and then she creepily licks the gator for about half an hour. WEIRDO!! thank you fluff & tuff – your toy is quickly becoming an actual member of our family!